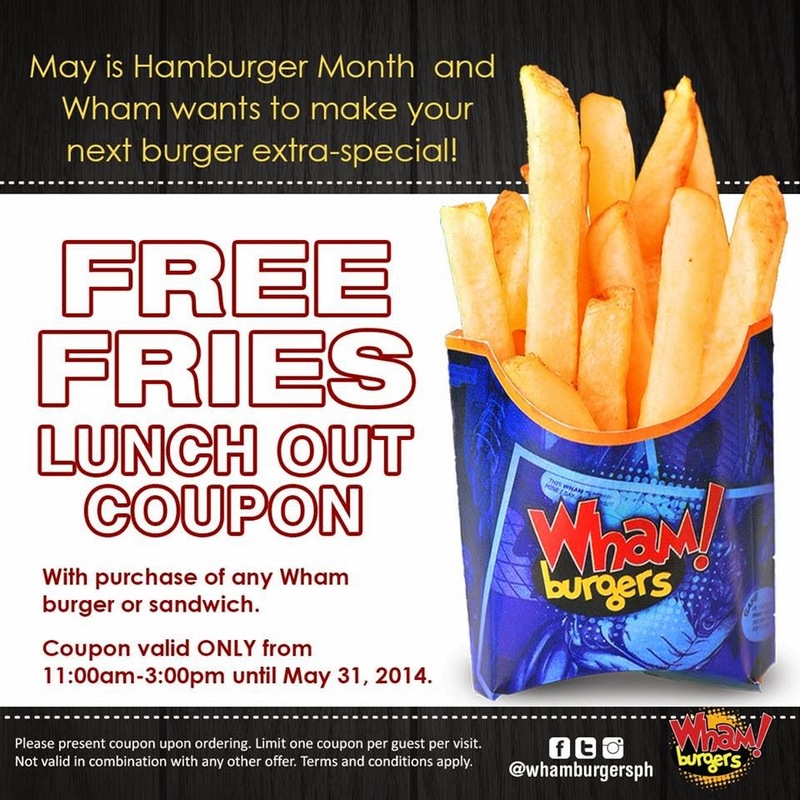 ruthdelacruz | Travel and Lifestyle Blog : Free Fries to Celebrate National Burger's Month at Wham! Free Fries to Celebrate National Burger's Month at Wham! So, I just found out that May is National Burger's Month! With this awesome news, Wham Burger is making it a little more special by giving us something that we can enjoy with our juicy and char-grilled burger. How about finger-friendly, crisp and addictingly good french fries for FREE? Simply print out the Free Fries Lunch Out Coupon valid per single purchase receipt from the Wham Burgers Facebook Fan Page and avail this promotion from 11 AM to 3 PM with a purchase of any burger. Valid until May 31, 2014 only! Spicing up every bite of your favorite burger are the variety of toppings and cheese choices as a savory addition, guaranteed to tweak the taste from something spicy, cheesy or tangy. 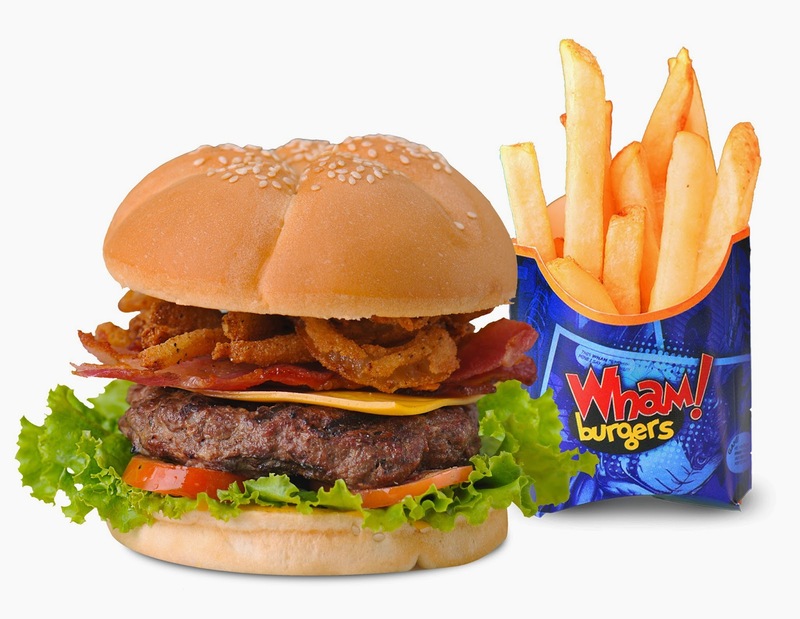 Wham Burgers is located at three branches: Katipunan, SM North Edsa (The Block), and SM Mall of Asia. For more information, visit www.whamburgers.com. © ruthdelacruz | Travel and Lifestyle Blog : Free Fries to Celebrate National Burger's Month at Wham!